Do you think that you are wasting time on the internet? If yes, that means you must find ways to optimize your time on the internet. There are multiple benefits of optimizing your time when using the internet. When using the internet, it is quite common to get distracted by social networks, movie streaming sites, dating sites, etc. But this doesn’t mean that you should stop using the internet. It means that you are not using the internet to boost productivity or knowledge. The Internet is a place to learn something new every day or every minute. There are popular sites like Coursera, Lynda, and even eAskme.com, where you can learn new things. You can join online courses to learn blogging, coding, Photoshop, web designing, and many other skills. Learn the art of writing, play games at casinobillions, play games on slot machines, watch inside stories etc. There are complete guides available on every single topic. You can also use sites like YouTube to watch free video tutorials and boost your knowledge. Facebook watch also plays an important role to learn simple life hacks. The Internet is a place to learn about the latest events, historical events and updates. You can use the sites like Huffingtonpost.com, Nydailynews.com, etc. Find the latest news about any topic such as Politics, US, World, Sports, Celebrities, Entertainment, tech, etc. You can also join YouTube Channels or visit FastCompany to find exciting case studies, Entrepreneur for inspiring stories and Goodreads for recommendations. Organizing your time is one of the biggest challenges these days. The Internet can help you effectively organize your time. You can use the computer or laptop to manage the data and organize the files. Clean your inbox. Use the calendar to plan and schedule the things you want to do. Shopping online is a trend now. When buying online, you not only save more, but you can find some awesome deals that most of the people are ignoring. A smart shopper knows that same product from different vendors carries different values. That is why you should check the review, pro, and cons of the products before buying. Also check multiple sites such as Amazon, BestBuy, eBay, etc. to compare the price of the same product. Only make the decision when you are satisfied with your research. Be a smart buyer, save more and shop securely. Only buy from the sites that use SSL certificate to keep the transactions safe. Also look for the popularity and trustworthiness of the ecommerce site. Starting a blog is one of the coolest things that you can do online. You can start on any niche, but make sure the niche you choose is profitable. Monetize your blog with different ways to start making money online. Promote your blog to boost popularity and readership. Engage with influencers to spread the word about your blog. Optimize your blog to make it user-friendly. 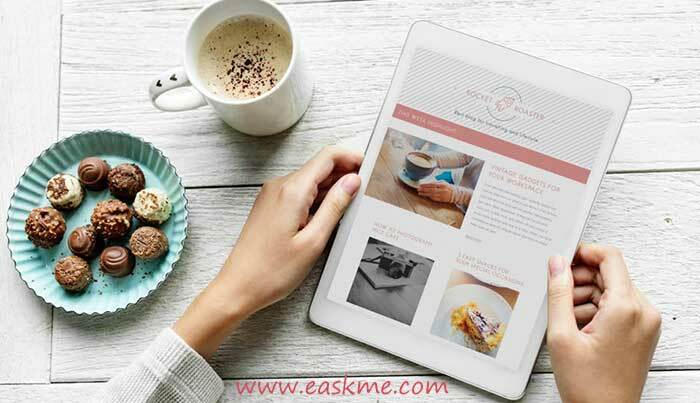 Blogging will help you not only to make some good money but also connect with the industry leaders and leave an impression. These are few of the most effective ways to optimize your time on the Internet. You can boost your knowledge, start an online business, save more and manage your life easier.